The new FWD Holden Commodore doesn't look half bad as a ute. We have known for a while that GM and Ford, as well as Toyota, planned to end production in Australia. This has caused the death of awesome RWD sedans and utes we have come to love. Cars like the Holden Maloo and Ford Falcon will be nothing but memories as these once proud Australian-made machines are replaced with FWD global cars. The Holden Commodore, also known as the Opel Insignia, has already gone FWD, but thanks to rendering artist Theophiluschin we can see what it would look like as a ute. We highly doubt that GM will continue to build any more utes, but this rendering shows that the new Holden/Opel Insignia would not look terrible with a bed. There will likely be a wagon variant, but that can't match the practicality of having a truck bed. We took a crack at reviving the Subaru Brat, and the results were a bit mixed. While we do like the rendering, it does seem like GM's new design wasn't really suited for truck duty. We will let people make their own decisions on whether the new car looks any good or if this rendering just looks alright. For now we can only imagine what a new ute would look like and remember how awesome they were. That being said, GM does seem to have tried hard with the new Insignia in an attempt to make it interesting. The car comes with a 247-hp 2.0-liter turbocharged four-cylinder engine. It will also have AWD with torque vectoring that is similar to the Ford Focus RS. This sounds alright, but this car is replacing a model that came with a supercharged 6.2-liter V8 and RWD, so it is hard for us to get excited. 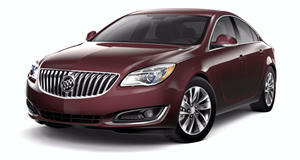 We will likely see this car in the US as the Buick Regal, and there may even be a wagon variant offered. Hopefully it can retain its manual transmission option and capture some of the essence of the Grand National.